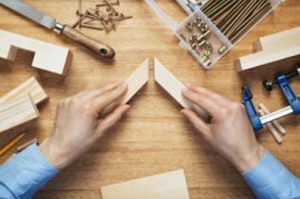 Learning the basics of carpentry is necessary if you wish to carry out home improvements yourself. Carpentry is one of the most interesting things to get involved in. There is something very rewarding when constructing wonderful things out of plain wood. Once you know the basics of carpentry, what your create out of wood is only limited by your imagination! Being able to measure accurately is one of the most important carpentry skills you will learn. Obviously one of the most common measuring tools is a tape measure. However, you will need to learn how to read in metric and imperial, such as cm and inches. 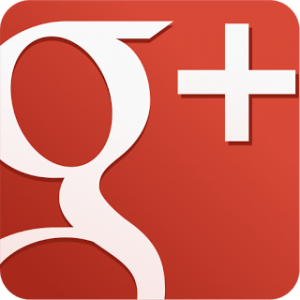 This is because different companies write dimensions of their products using either imperial or metric measurements. Knowing how to convert between these two measurements is a handy skill to learn. Another measuring device that will be used regularly is a carpenters square, which allows you to check if corners are a perfect 90° or 45° degrees. More advanced carpenters may need to use measuring devices such as protractors and lasers. Devices such as lasers are great for very accurate measurements, and ensuring things are level such as kitchen units. Most carpentry related work requires precision, meaning attention to detail is crucial. For example, planning and installation of a kitchen requires careful measurements, to ensure everything fits good. Also a lot of thought must go into the planning of a kitchen, as they consist of many separate units and components. When learning the basics of carpentry, your attention to detail will improve over time. Understand the different types of woodworking joints. You will be surprised how many different techniques can be used to fix two pieces of wood together. All have there own advantages and disadvantages. You can learn about carpentry joints here. Marking is usually done after you have measurements. The purpose of marking out is to provide a guide for cutting or lining something up. Accurate marking out is essential if the different parts of the construction are to fit together properly. Typically it is best to mark wood using a thin pencil. This is because thick pencils can produce lines that are more than 1mm thick. Problems occur when precise cutting along this line is required, as the blade you are cutting with could be thinner than your line. Being able to see your line is also important. If you cannot see it, then consider scribing with a sharp knife, or use a thin tipped coloured pencil to mark your wood. Only use thicker pencil lines for rough marking out, where precision is not required. Once you have marked your work using a pencil or a knife, you would then need to cut it. Most of the time a simple handsaw can be used to get the job done. When cutting using a handsaw, you need to focus on keeping it straight, ensuring it follows your line. Holding it at a 45 degree angle during cutting should help the saw glide through more easily. Hand sawing is a labour intensive activity, meaning your arm can tire. To make life easier, make sure you have a sharpened saw. 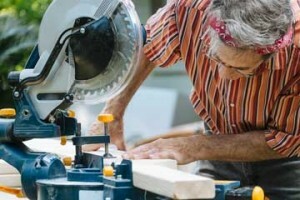 Power tools such as circular saws and jigsaws are very useful for larger jobs. Such tools cut through wood with ease. Whatever method you choose to cut your wood, remember to cut outside the marked line and not on the edge. This will help keep your measured cuts more precise. Knowing how to fix timbers together is essential when learning the basics of carpentry. Nailing is like the soul of the entire carpentry process. Firstly, get a hammer that is pretty comfortable to hold and is properly balanced. It shouldn’t be too heavy nor it should be too light. Then, to get started get a nail of the right size. Holding the nail properly is important so that you don’t hurt your fingers. At the beginning, just tap the nail lightly so some of it penetrates the wood, after which you can get your fingers off and start hitting hard in a swinging motion. 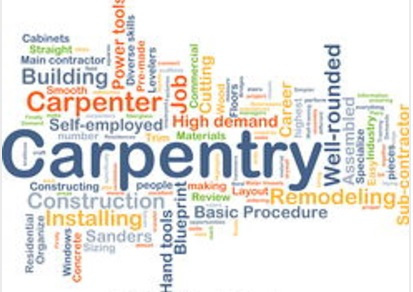 You will be surprised how many tools carpentry requires. You probably don’t have many tools now, but you will have over time. There are some fantastic tools out there to help you complete your projects quicker and easier. 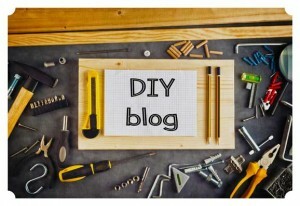 Visit this post to see the 6 best carpentry tools for beginners. The basic carpentry techniques are necessary for completing basic home renovation tasks. Learning basic carpentry may not be very quick but is really simple and interesting. With these simple techniques you can construct various things out of wood and create some interesting things. You can make a simple chair, a basket stand or a simple storage cabinet. With just a few steps in learning the basics of carpentry, you can create a lot of simple and beautiful things out of wood.